Amazon is currently hosting a Bose Week in which they are offering up to 20% off on Bose products such as speakers and headphones. Buyers also have an option of no cost EMI on select bank debit & credit cards. 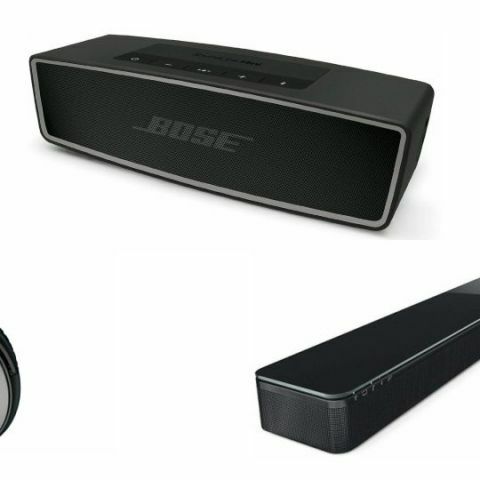 Today, we bring you the best deals Amazon has on Bose products. The Bose Week will last till September 16. The products we have listed down below are BT speaker, soundbar and headphone. Without adding further, Let’s take a look at the deals. The Bose SoundLink Mini II Bluetooth Speaker comes with a built-in mic that lets you make calls, while your phone is connected to it. The device works within a range of 30 feet from a connected device. As per the company, the speaker can provide up to ten hours of audio playback on a single charge. Click here to buy. The Bose QuietComfort 25 is an over-the-ear wired headphone, which features an inline remote and a microphone that lets you manage calls and tracks easily. The headphone comes with a noise reduction function that lets you enjoy your music without getting interrupted by outside noise. Click here to buy. The Bose SoundTouch 300 comes with Bluetooth with NFC pairing and Wi-Fi as well to stream music wirelessly. The Bluetooth function lets you stream music via a smartphone or tablet, where Wi-Fi allows you to play songs from apps like Prime music. It also has an HDMI connectivity option that allows you to connect the bar to the TV via an HDMI cable. Click here to buy.